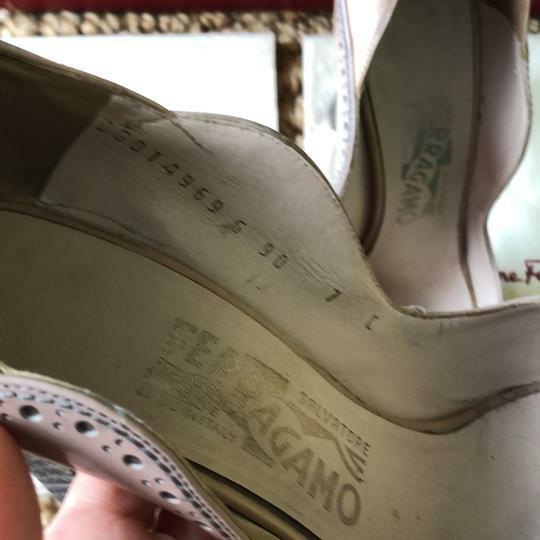 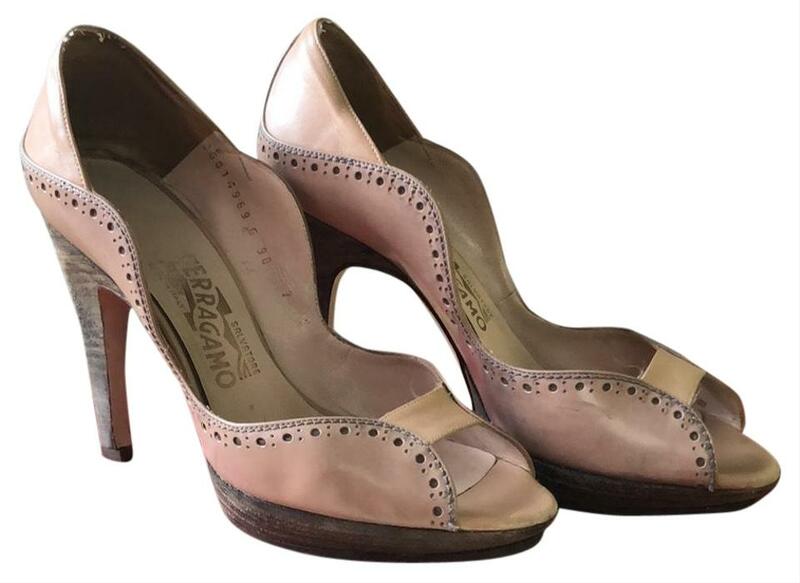 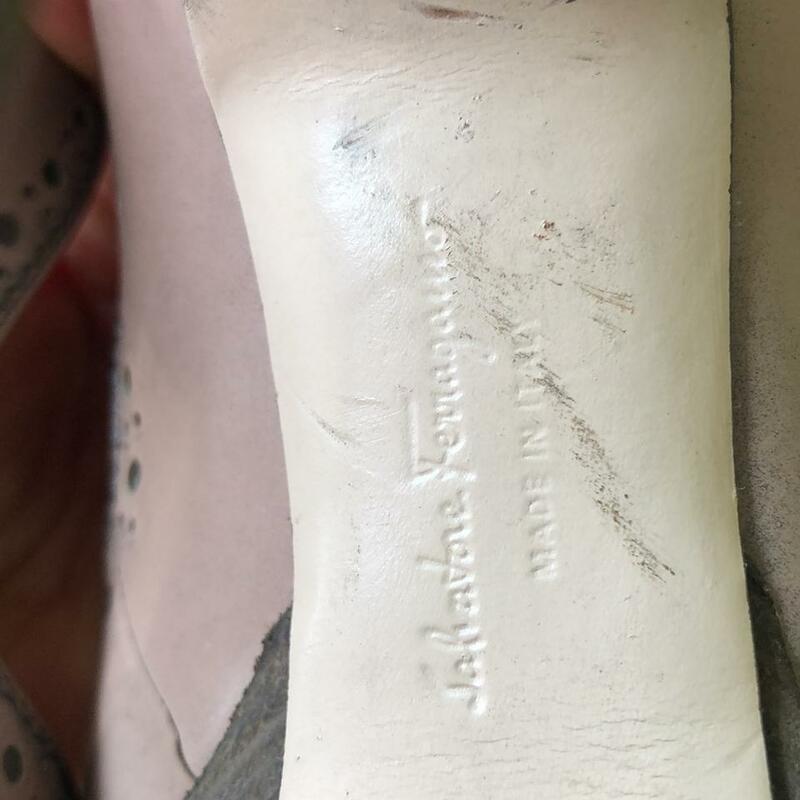 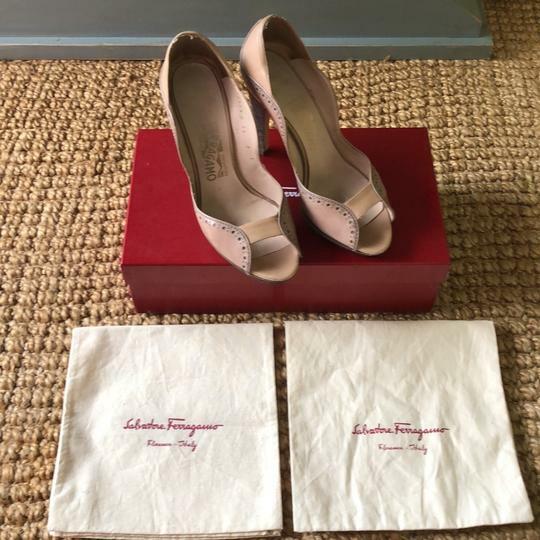 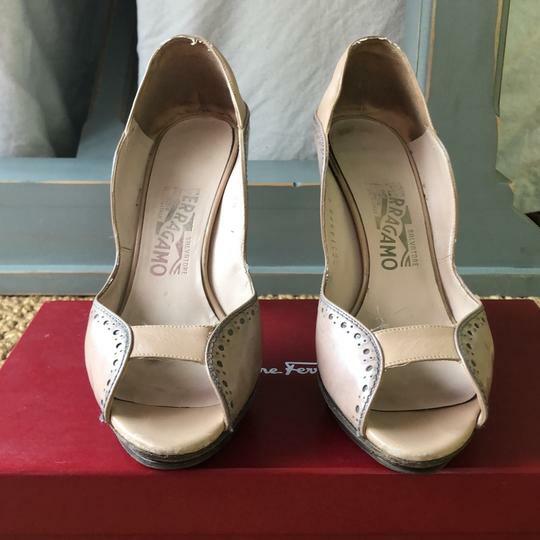 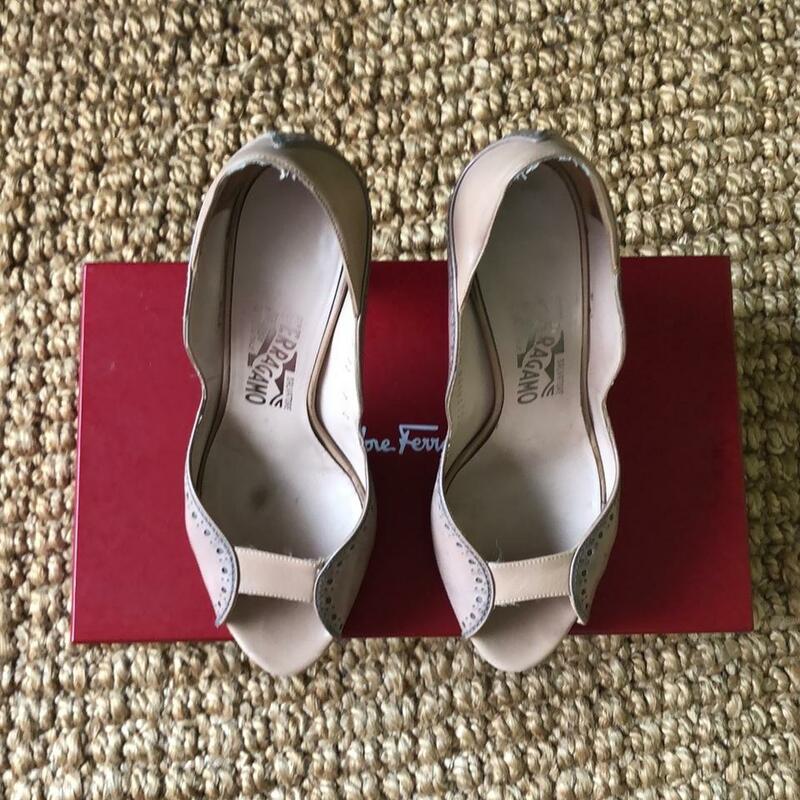 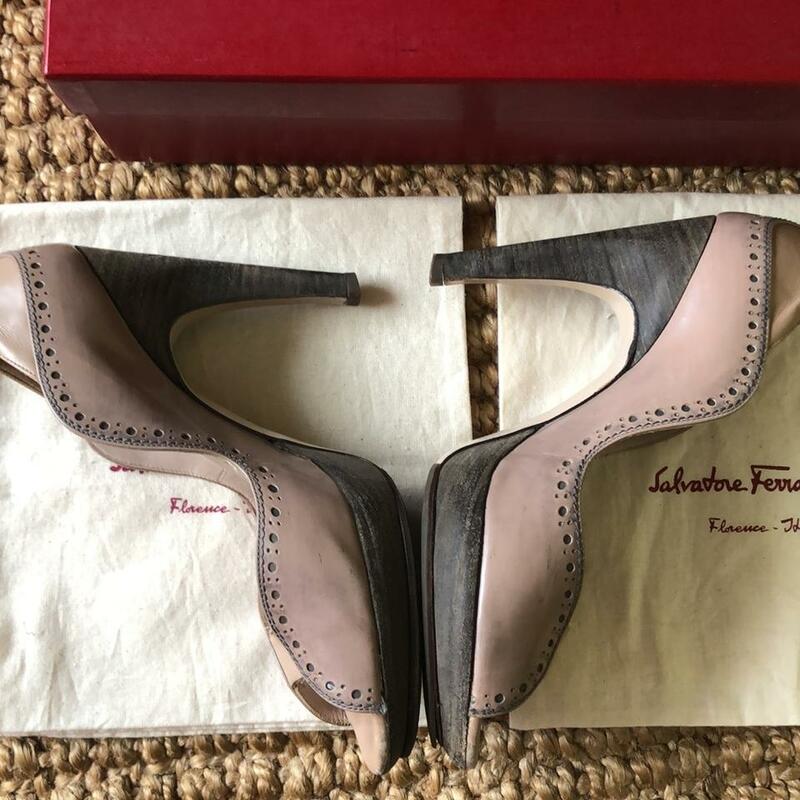 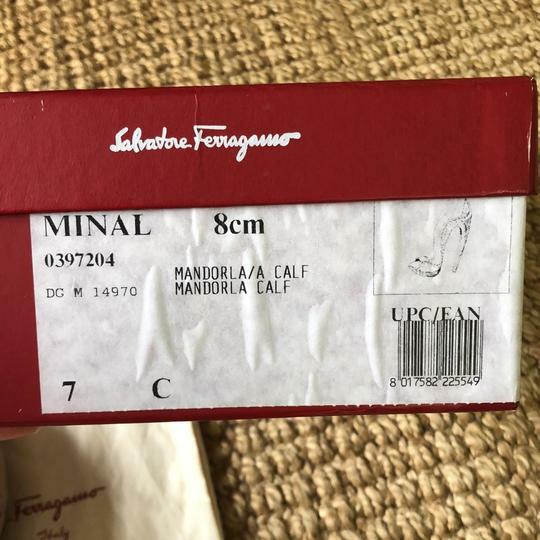 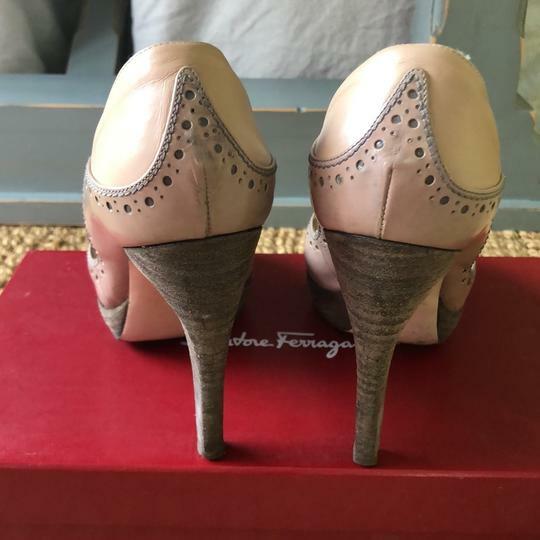 Authentic Salvatore Ferragamo heels. 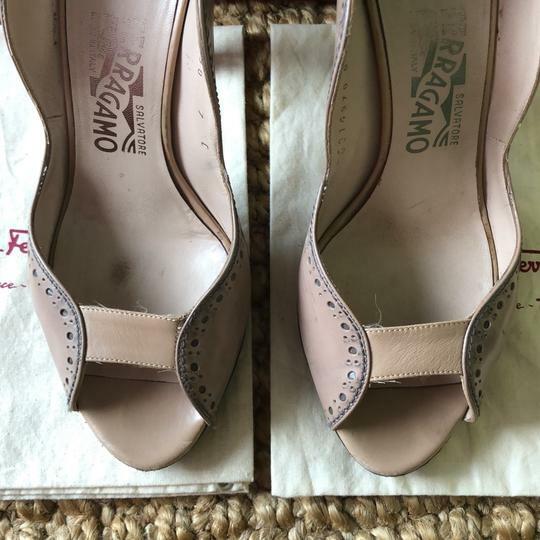 Pale pink washed out calfskin leather. 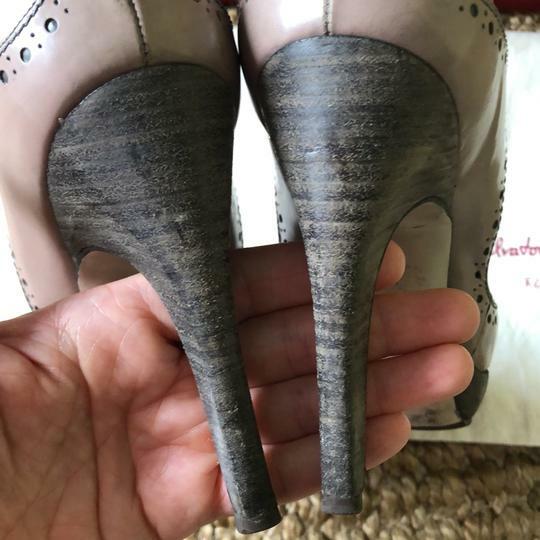 4.5 inch heel, 3.4 inch platform. Soles and heel tops were repaired by Leather SPA in New York City. Comes with two original dust bags and a shoe box.